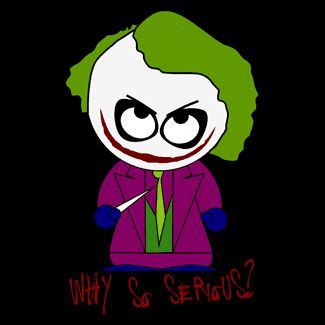 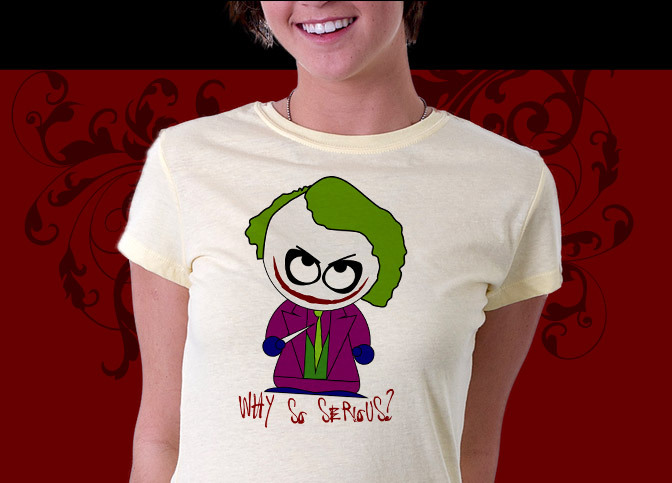 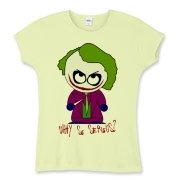 Joker Shirt Character Asks Why So Serious? 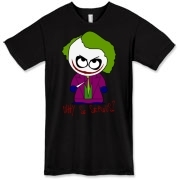 Our Joker shirt design features a hilarious parody collision involving The Joker from the Dark Knight movie and familiar South Park-like character design. 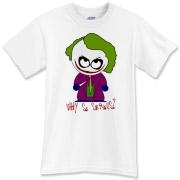 The Joker Shirt character is dressed in purple and green just as The Joker was in the film The Dark Knight and makes for a hilarious t-shirt for fans of either pop culture icons. 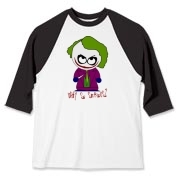 Now available in lots of cool styles and colors for men, women and kids too.